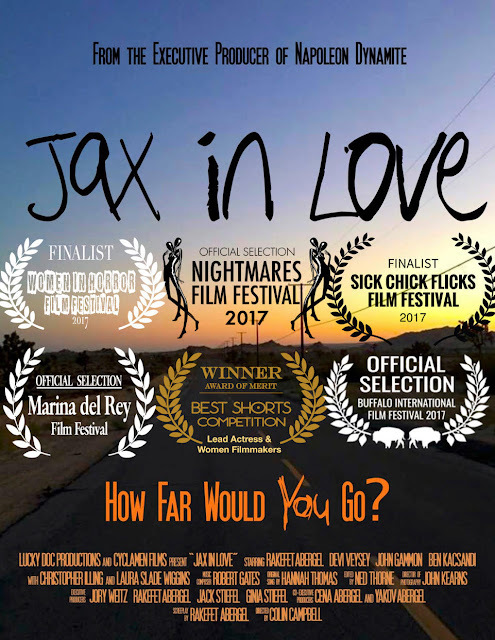 Award winning Jax in Love is a short horror film that was written by and stars Rakefet Abergel. This impresses as a road trip movie in that this feeling of long journeying is achieved despite the short 20 minute run time. While the central concept may not be much new it is created with panache with a good sense of direction and some nice editing. Abergal stars as Jax; a wanderer out in the vast emptiness of middle America looking for human connection. When the car she is driving breaks down in the middle of nowhere she begins a new adventure where she will both make and loose new friends. Jax in Love has great pacing that really compliments the always on the move feel this short has. It covers literally a lot of ground with several different stories taken place for the lead. Abergal is great as the titular character, someone who has quite severe abandonment issues, forever concerned that those she loves will leave her. Her methods for preventing this makes up a lot of this with a nice visual unveiling of just the sort of person she is. In many ways the character is a victim with past demons, this is presented well so that by the end the viewer gets to see her view on the world. From beginning to end this is paced and shot well with some lovely cinematography going on. The editing was great in one particular scene, sure it is an obvious way to show insanity (similar style was used for Gollum in The Lord of the Rings as one such example) but enjoyable nonetheless. 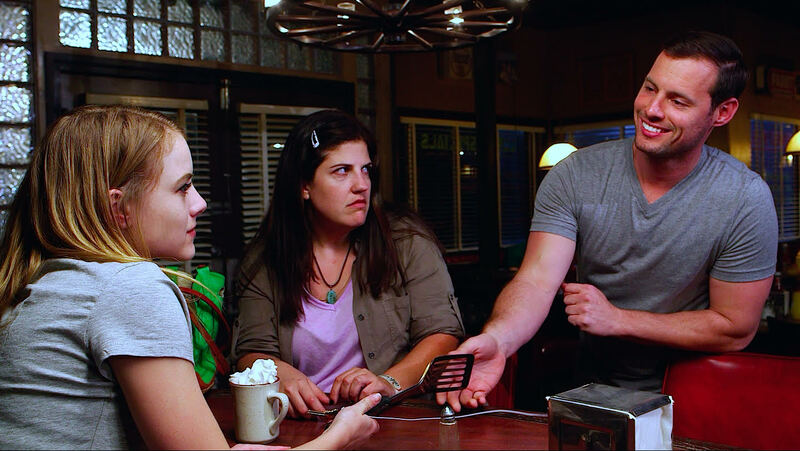 In general the acting was effective across the board with the small cast well chosen, from the slimy rednecks to the man travelling home to his girlfriend all came across as believable for their roles. 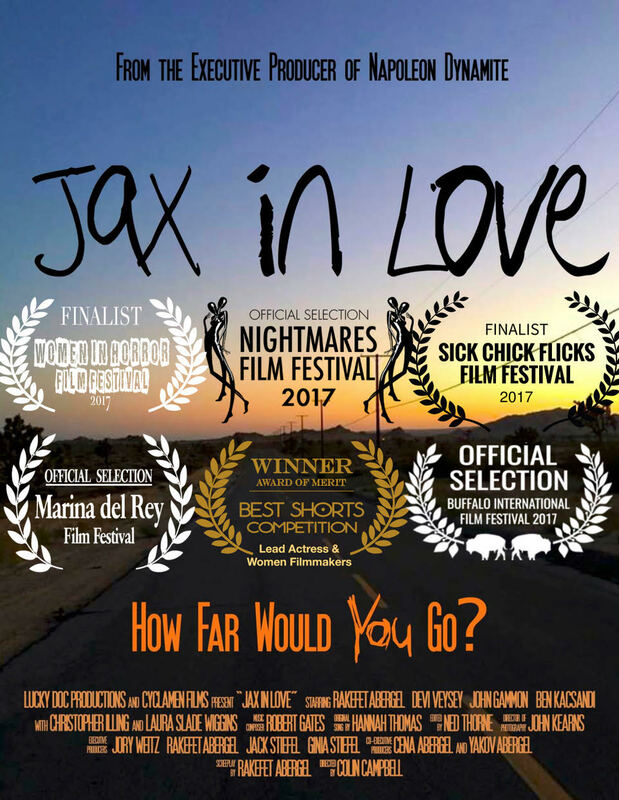 Jax in Love may speed through its ideas due to its short run time, but comes out overall as a neat, visually attractive piece of filmmaking.